Please note: My daughters hair did not look like that before straightening. That's just a picture showing you what her curls look like. After washing and detangling, I moisturized her hair with our favorite product, Bee Mine Luscious Moisturizer. Click here for Miss A's full hair care routine. 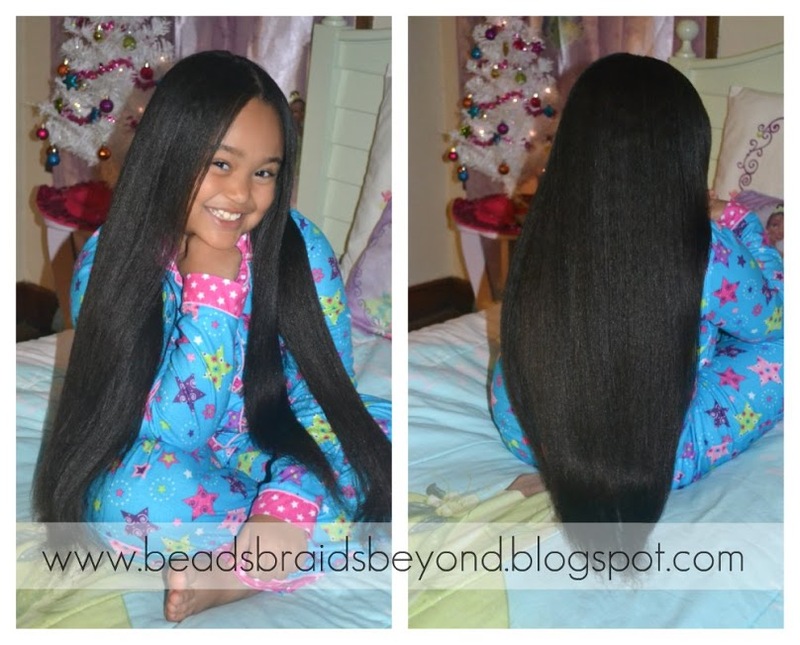 I banded her hair immediately after moisturizing in two sections. Click here for Banding F.A.Q. The following day I removed the bands, detangled and put her hair in one banded ponytail going straight down her back. On day three it was time to flat iron her hair but first I applied a small amount of extra virgin coconut oil to her hair to protect her curls from any heat damage. Grabbing a very small (about 1 inch in width) section, I brushed the section with our Denman D3 brush and ran the flat iron down the section from root to tip. 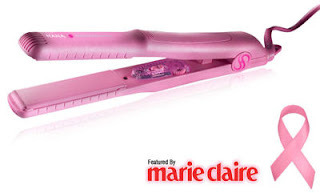 I used a pink Hana Elite 2 inch flat iron that was gifted to us from Misikko.com a while back. Absolutely love this flat iron. I kept the flat iron around 300 degrees and continued this process until complete, which again only took about 40 minutes. 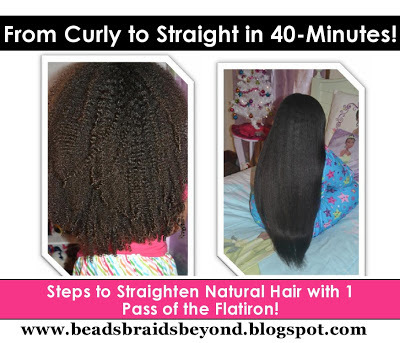 Flat iron used, only we used a 2 inch made for thicker hair. I think banding her hair made the biggest impact. 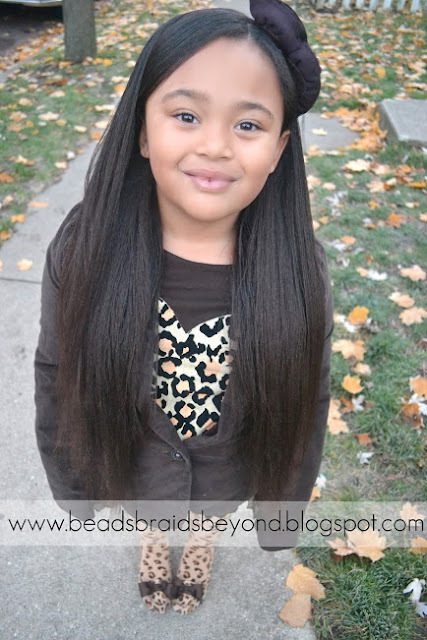 Her hair was already stretched out quite a bit thanks to banding. 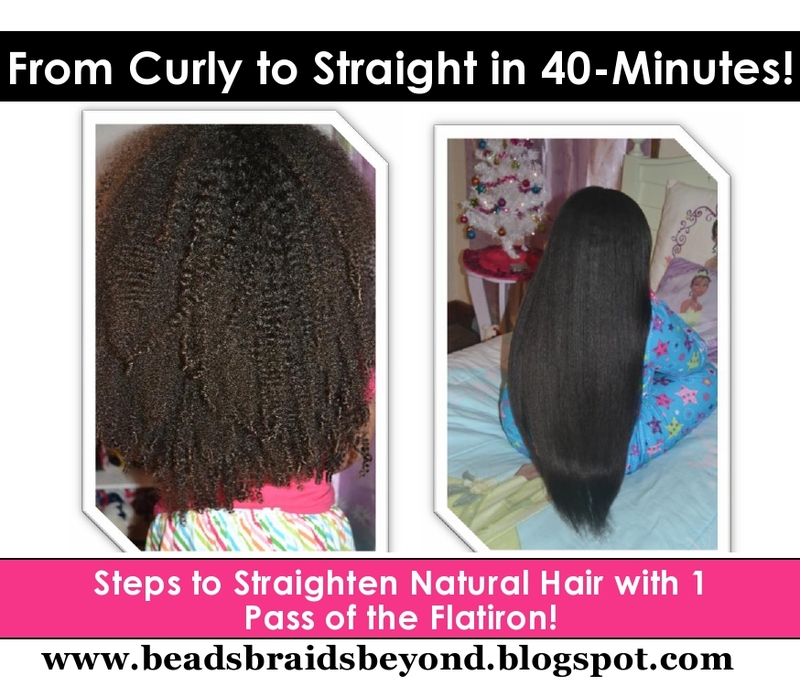 If you plan on straightening natural hair any time soon, band the hair for a couple of days first instead of blow drying to reduce the amount of heat used on the hair. Bed time routine has been very simple. I have been placing her hair in 1 or 2 twisted ponytails or one loosely banded ponytail, nothing special. Please feel free to ask any specific questions. Bee Mine Products Black Friday Sale!